What often holds aspiring writers back is the lack of confidence to get started. How do I structure my story? How do I bring my characters to life and make them believable? How do I write convincing dialogue? 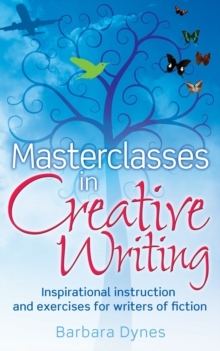 In this dip-into book a professional, award-winning writer and lecturer on creative writing has developed a collection of revealing and highly accessible masterclasses that will inform and encourage creative writers. The book is arranged in easy-to-find subjects and includes mini tutorials, examples, top tips, and summaries of learning points in* Developing all your writing skills* Keeping the reader involved* Creating great characters* Writing natural dialogue* Using viewpoint effectively* Enjoying the process of writingThe lessons are designed to increase your skills, add to your knowledge, and help you fulfil your creative potential.